7Gfirewall the perfect combination for wordpress site? Sucury FREE + BPS FREE+ 7GFirewall can run together? What´s for YOU the best COMPAGNION for 7gifrewall to high security and high speed? 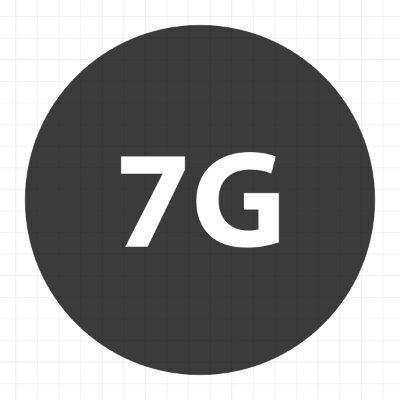 First keep in mind that 7G is in “beta” mode, for testing and further development, etc. So not sure if it has been tested with other security scripts/plugins. For my own sites, I just use 6G/7G and/or maybe BBQ WP plugin always keeps performance super fast while securing against many threats. I’m eagerly awaiting it. Thank you very much for your constant work on the firewall. Would like to donate something or pay for the firewall. Is that possible? It’s so simple, efficient and constantly improving, I’d like to support that. Thanks David, yes there is a section in the above article for showing support. Additionally, you can make a donation (any amount) via PayPal. Here is my PayPal donation page. One question… Firewall first in the .htaccess or last after all the other server rules? What’s better? There are no hard and fast rules for this, it really all depends on the other rules contained in the .htaccess file, as well as any other .htaccess files/rules, config rules, environment, and so forth. Check the article for general recommendation on placement, et al. That rule below doesn’t work on my server. Better said, it ensures that for example the user agents are only locked out on subpages, but not on the start page. What helps is the modification with the following rule including syntax. Then the code also works on the start page. Otherwise it only work on subpages. I don’t know exactly why, but I just wanted to let you know. That is odd, do you know which version of Apache you are using? LiteSpeed but what works under Apache usually works there as well. Yeah that would explain it. May want to ask the Litespeed folks about why wildcard (dot) is not recognized properly. Unless there is some other factor at play in this particular case. I don’t know if you ever got any info back on Lightspeed but would you recommend David’s Lightspeed “fix” as an acceptable mod to enable using 7G without regard to a site being on Lightspeed or not? Not familiar, is there a link I can check? I have tested 6G and 7G today. In .htaccess, 6G worked fine, but when trying to use it with the Advanced Directives for Apache within a Plesk VHost there was an error that Require All was not allowed here. Then I tried 7G in the Advanced Directives for Apache. The error was “only” that Rewrite Base / was not allowed here. Do you think this might be a problem? I am asking because I am wondering if I could use your firewall rules not only for one Vhost / domain but for several – by applying it on the level of subscriptions or even an entire server for several Vhosts. It should be fine to remove the RewriteBase directive. Just do a few tests to make sure the rules are recognized, especially the Query String rules. If so, you’re good to go. I recently came across something that said FollowSymLinks has a security issue and that one should use SymLinksIfOwnerMatch instead. SymLinksIfOwnerMatch is a new one to me… Do you know if it is truly preferable? Do you know of any downsides? I haven’t heard of it, but if you want to share a link (either here or via my contact form) I will be glad to take a look.